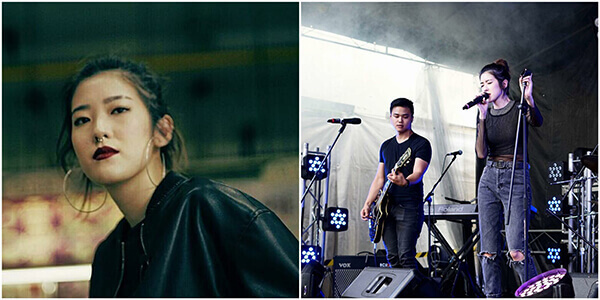 With the rapid surge of talents in the music scene, it’s no surprise to hear our English radio stations playing music by local artistes and music festivals such as Neon Lights and St Jerome’s Laneway Festivals featuring homegrown bands. 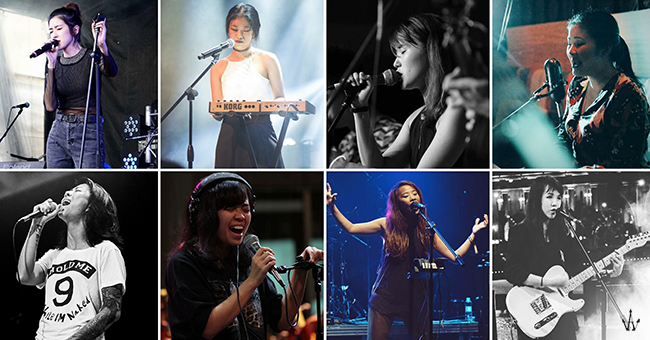 Bands like Disco Hue, 53a and Astreal may ring a bell but who are the people behind the music we adore? 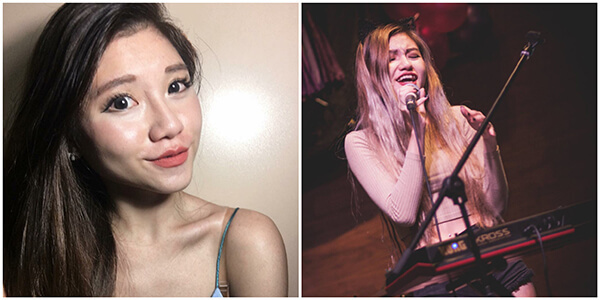 We snooped online to find out more about these 27 females lead singers. 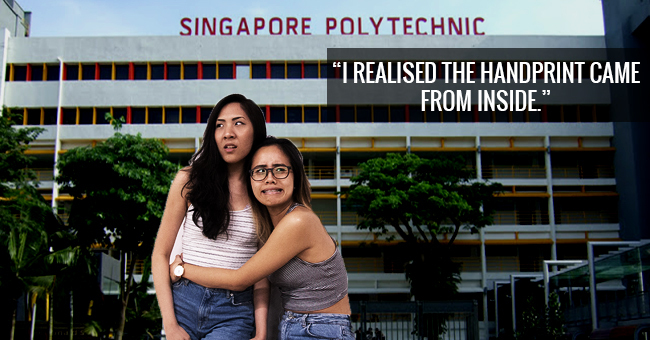 Giving up her overseas education in Canada was a tough choice but returning to Singapore and making music with her band members made it all worth it. 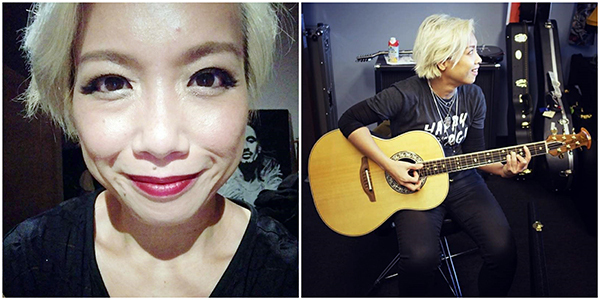 Aside from singing with the band, Stephanie’s also a full-time Psychology student in NUS and as quoted from Ryan (guitarist and backup vocalist), a “haaaardcore make-up junkie”. Similar to the other bands, Pleasantry started out after a jamming session amongst friends. But Samantha juggles a job at a foreign bank and has even lent her vocals to local Screamo band, Paris in the Making, for their track ‘Cadence of Dissension‘. The band’s also working on new music she’s really excited about ’cause it’s pretty different from what they’ve done. So stay tuned! Music definitely runs in Zsa Zsa’s blood. 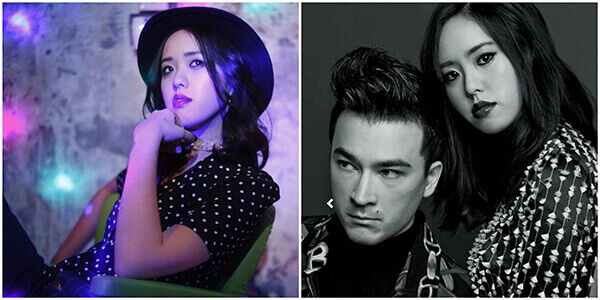 Daughter of Mandopop singer, William Scorpion, the 31-year-old’s currently fronting local band The Good Karma along with Amanda Tee. 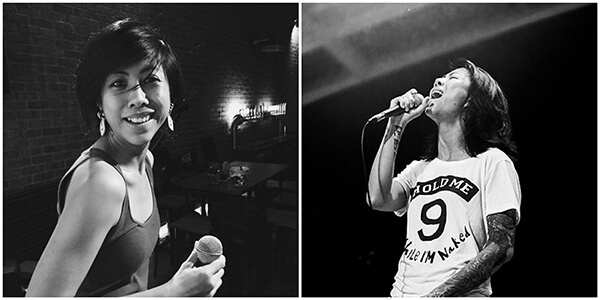 Prior to this, she’s also performed with popular homegrown artistes such as Amanda Tee (under the moniker, Amanda & the Grumpy) and Claire Goh, and had a stint with the Rock Rosettes. 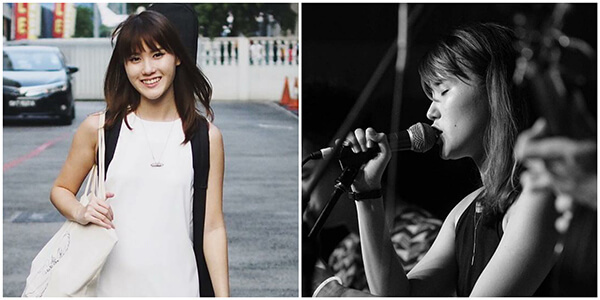 Besides being the vocalist and guitarist of 53a, a band well-established in the live music circuit, Sara’s also a mentor for Timbre Music Academy, a yoga enthusiast and Nike Training Club trainer. 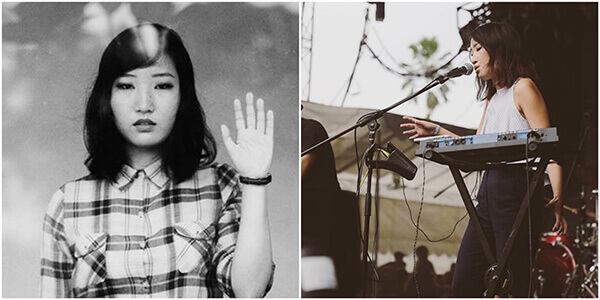 Some of you may recognise her as talktothewalls and Dropdeadkxy, one part of now-defunct bands Bored Spies and Pastelpower. Or even as the guitarist who provides backing vocals for the Obedient Wives Club. 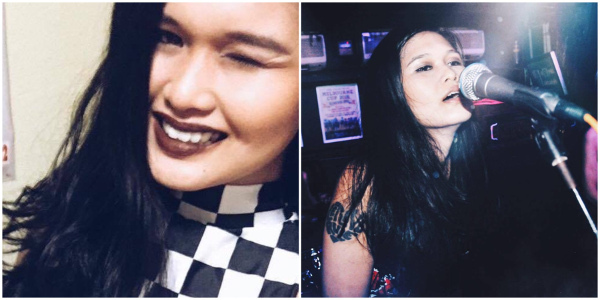 But one thing’s for sure—this 26-year-old is no stranger to the local music scene. 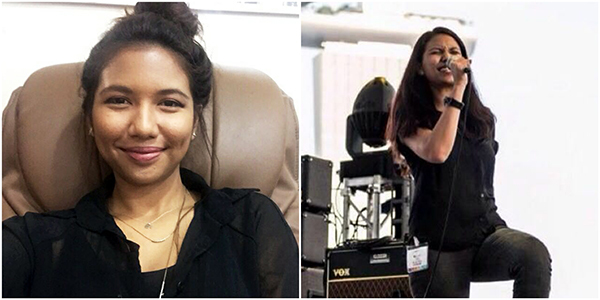 Cassie’s cousin and best friend ‘sabo-ed’ her to sing at Supersonic’s gigs and Afwan (male vocalist) asked her to try out and join the band. 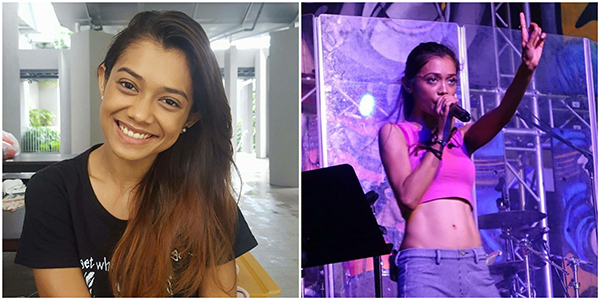 Apart from singing, she’s also been involved in the theatre scene since 2009 and acts part-time—you may even recognise her as Rachelle from ‘Tanglin’, Mediacorp’s Channel 5 TV series. Apart from singing with Canvas Conversations, Namie’s also working on some tracks mostly inspired by nature and her relationship with herself—an introspective collection of songs—and may even release an EP late 2017. 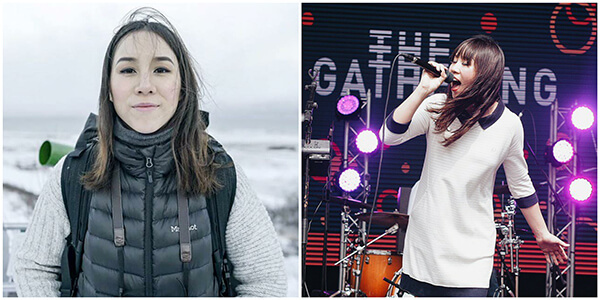 Better known by her moniker, Ginny Bloop, singer-songwriter Eugenia Yip completed her degree in Popular Music Performance at LASALLE College of the Arts. Since then, she’s released EPs with both The Steve Mcqueens and Riot !n Magenta, performed on various international stages such as Hello Asean! and Mosaic Music Festival, and has gone on to provide voice training to students in international schools. Apart from being the lead vocalist of the five-piece alternative local rock band, The Great White Lark, 23-year-old Melina’s also one part of the local electronic band, Pälty Sotatö (who appears to be a little obsessed with McD’s). 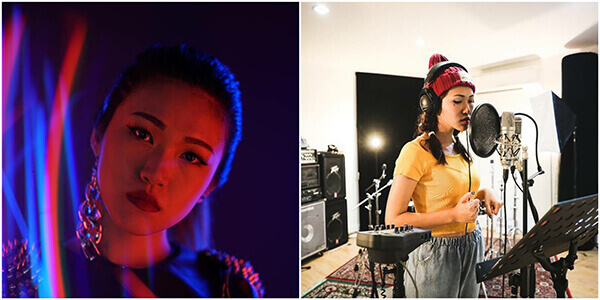 The Singapore Polytechnic Graphic Design graduate has also collaborated with local band Decipher recently and uploads solo music projects on the side on Soundcloud. When Suhaili heard the raw intensity of The Psalms live onstage, she wanted to be a part of the band. 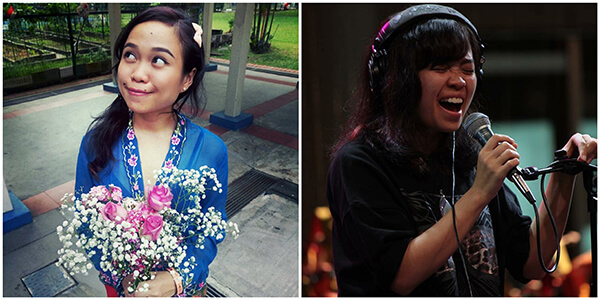 Prior to her singing with The Psalms, she worked with Plus Nueva and is currently a freelance actor. Recently, she’s also done sound design for the stage production Mother I and it’s been nominated for best sound design of 2017. 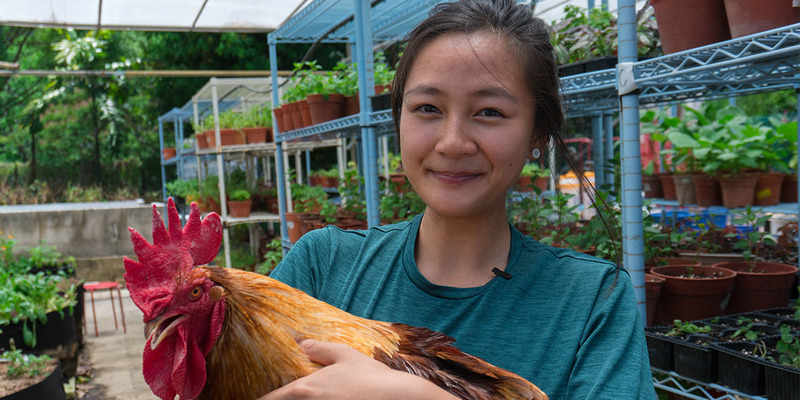 When Vanessa’s not singing with Amberhill, this FASS student in NUS also loves jamming with different musical instruments such as the keyboard, guzheng, ukulele, acoustic guitar and bass guitar. 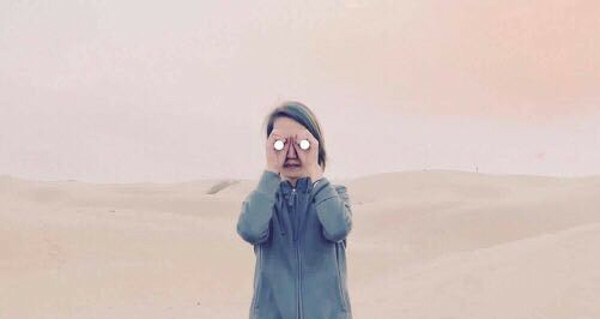 Beyond Amberhill, she’s also worked on original songs and song covers. 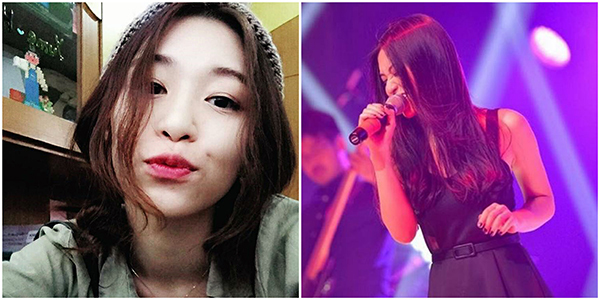 When she’s not singing or playing the keyboard with The Common People, Erina’s working on her solo music projects—according to her Facebook page, her new single will be released April 2017. So keep your ears out for it! 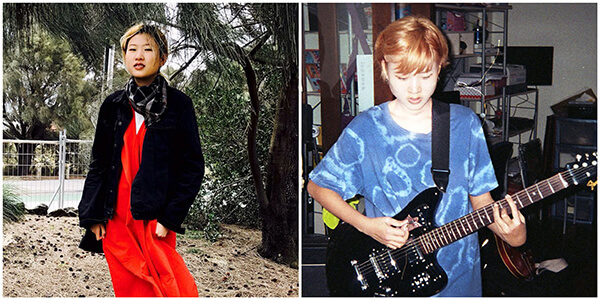 Mai first started singing for bands when she was aged 16. 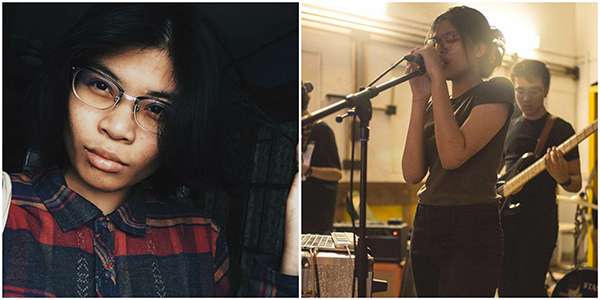 The gigs and jamming sessions made her fall in love with music and as she grew up, she joined The Livid Sun—a bunch of old friends who wanted to make music together just like old times. 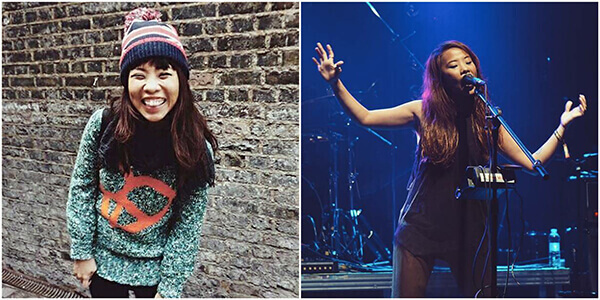 Apart from singing in the band, Mai is also a full-time editor at a video productions company. The band actually got together by accident. 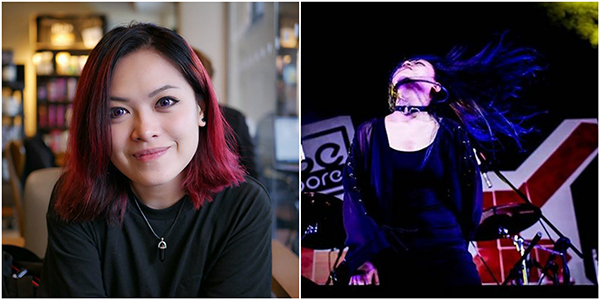 Their guitarist, Elisha, was asked to audition for the NTU Fest before they roped in friends to form Sabby And The Cats. 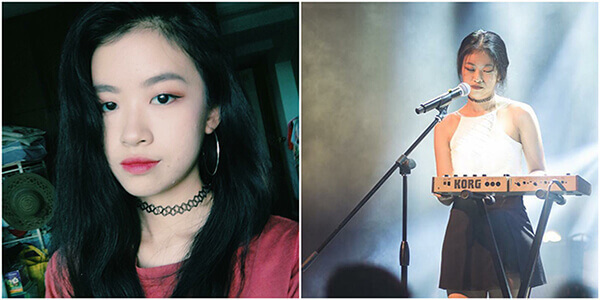 Apart from being a lead vocalist, Sabrina’s also quite the dancer—she’s studying Music and Drama in NIE and is part of NTU’s Modern Jazz club. Ginette Chittick’s killing it not only as bass guitarist and vocalist of Astreal; she’s also a mum, DJ, designer, programme leader of LASELLE’s Fashion Communications Programme, and she oversees the branding and social media marketing of her label, FrüFrü & Tigerlily. A total #ladyboss. Wahidah loves sewing and reading but used music as an outlet to express her feelings—which was how she started performing with Subsonic Eye. Dan (guitarist) sent her a song to sing, and it immediately struck a chord with her. Outside the band, Wahidah’s solo side project, Elephant Stampede (Bedroom Lo-fi Pop), is also ongoing. 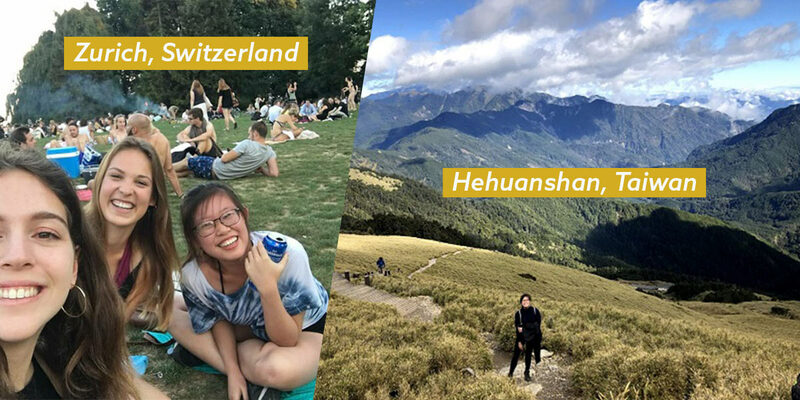 After spending 15 years abroad, Joanne wanted to find a way to meet like-minded people. When she returned, she formed a band—not the most conventional idea. But today, her bandmates are her family and they’ve got a debut album slated to release in mid/late 2017. 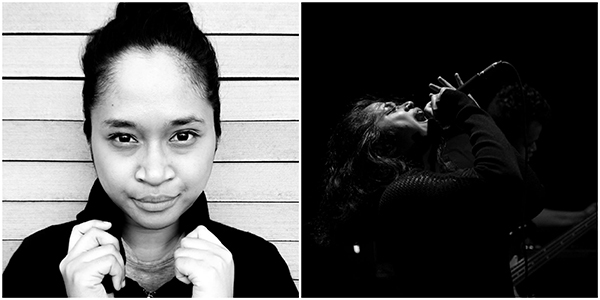 Besides singing in a band, Joanne’s also a graphic designer and illustrator. 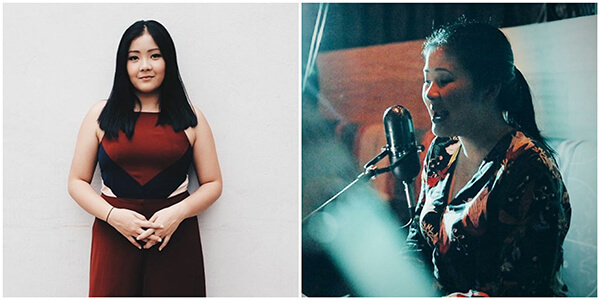 Apart from singing in Giants Must Fall, Ferry has also worked with a fellow local singer, Cherie Ko, for their Cherie X Ferry projects. She’s even released an original, “A Song To Sleep To” on Spotify recently. Abbey’s musical journey started as a toddler once she was put through classical piano classes. The gaming enthusiast is currently taking a gap year to focus on music full time. She’s also considering conducting vocal workshops. Weish, her stage name, is a part of the band sub:shaman and the indie-electronic duo .gif. 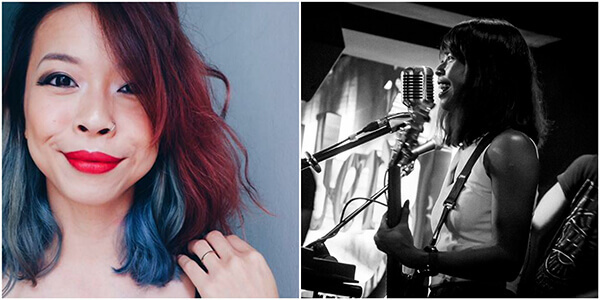 But other than her association with the groups, 27-year-old Chew Wei Shan has also embarked on solo projects and has played at multiple venues such as Blu Jaz, TEDx Singapore, and has even opened for Canadian Indie Pop duo, Tegan and Sara. Besides singing and playing the keyboard in the bands Enec.e and KINGS, this talented crooner has also collaborated with local musicians in both the original and live music scene, with the likes of Jawn, Simon Yong and Footlooze. 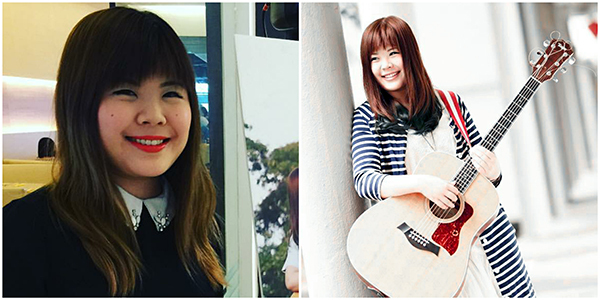 Singer-songwriter Shirlyn Tan started singing from a young age and has even released the award-winning album, ‘Newfound Jealousy’, in 2007. Today, Shirlyn’s also a Yoga instructor at Bikram Yoga Harbourfront when she’s not belting out at the local pub. 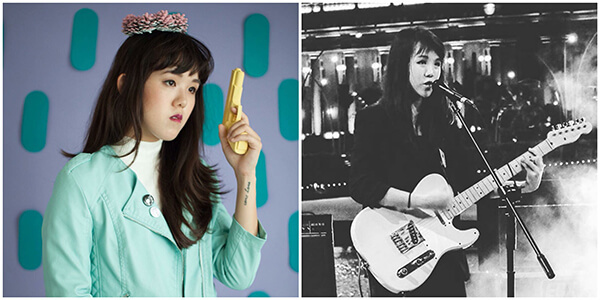 Singer-songwriter Rachel may be known as Lost Weekend’s vocalist and guitarist, but she’s also worked with various musicians in the industry and used to be one part of Pastel Power. 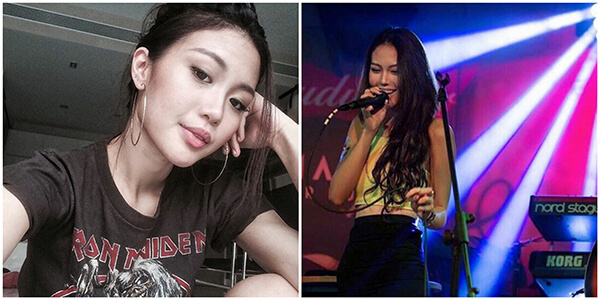 On the sidelines, she recently posted her rendition of, ‘The Moon Song’ on her Soundcloud profile. The SMU economics graduate is also Grab’s marketing manager for Singapore. It’s kind of a funny story how Sherlyn ended up joining Disco Hue. She shared a cover on Vine, and the band members ended up approaching her to join the band because they liked her vocals. 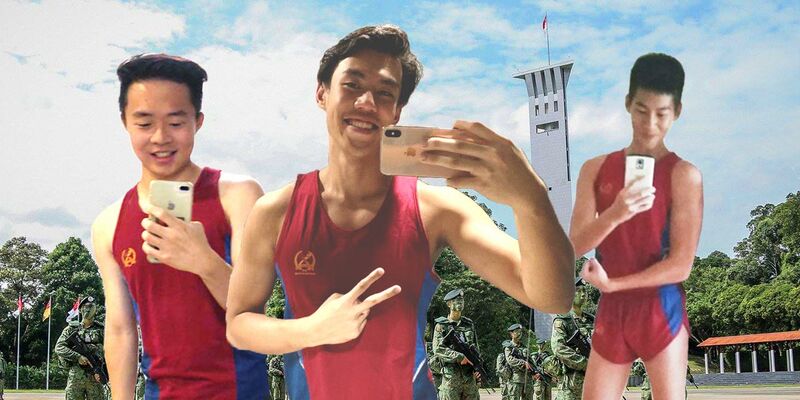 Apart from Disco Hue, the NTU English Undergraduate’s also involved in other creative projects. But most recently, she forayed into R&B music under the moniker Veronica and released a new single (‘Bout U’) with fellow band member Zie (a.k.a. electronic producer THIEVVES). 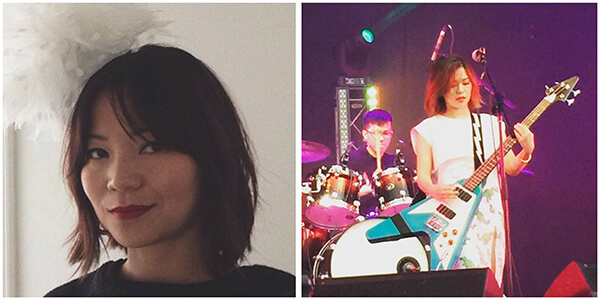 Ruby’s part of the Singapore Char Siew Baos, a band that gained recognition because of Mediacorp Channel 5’s talent competition, ‘One Moment of Glory’. But she’s also a singer-songwriter who’s moved on from singing covers to creating her own album. In 2014, she released her EP, ‘Circles’ and has performed for events such as Earth Hour 2013 and World Cancer Day 2013. Currently on a hiatus from running her online pet store, Rachel joined the Rock Rosettes in late 2015 upon invitation from Ivy, the band’s leader. She joined the band because of her love for rock music but you’ll be able to find the band rocking out to a wide range of genres—from contemporary radio hits, 80s rock, pop, funk to dance music. For Kurenai, music is her life and music is what makes her a living. Having been exposed to rock and pop music in her teenage years, Kurenai joined Vivienne’s Verdict when they extended their invitation to join the band after she witnessed their strong camaraderie. 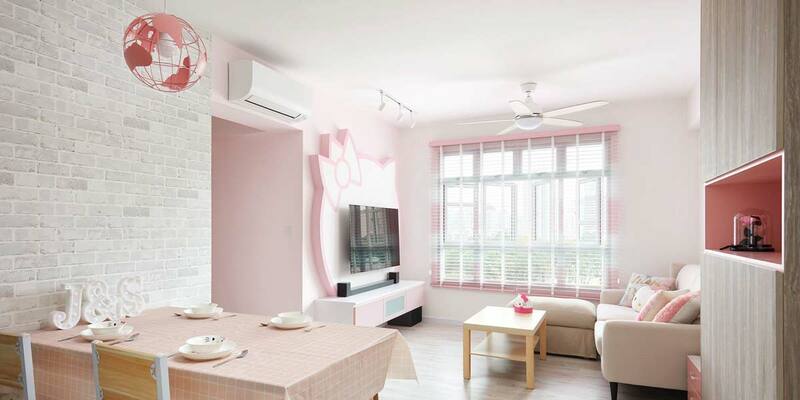 Apart from fronting the band as its lead vocalist, she also runs a music school in the day and aspires to be a vocal teacher to pass on her knowledge and passion for singing to others.